Swallows, the heralds of summer, are welcome visitors to the New Forest. I was very excited this week by the return of the migrant barn swallows that have, for many years, been resident in the stables on my holding. Their journey from Africa to the New Forest each spring is hazardous and exhausting. They can cover 200 miles in a day with speeds of approximately 20 mph. I generally anticipate their return and, from the end of March, make sure they are made welcome by opening the top door of ‘their’ stable and leaving its ventilation window open on a slant. The ponies are now away on their summer grazing and will be out for the rest of the year, so they won’t be needing any accommodation. The swallows are free to move in. 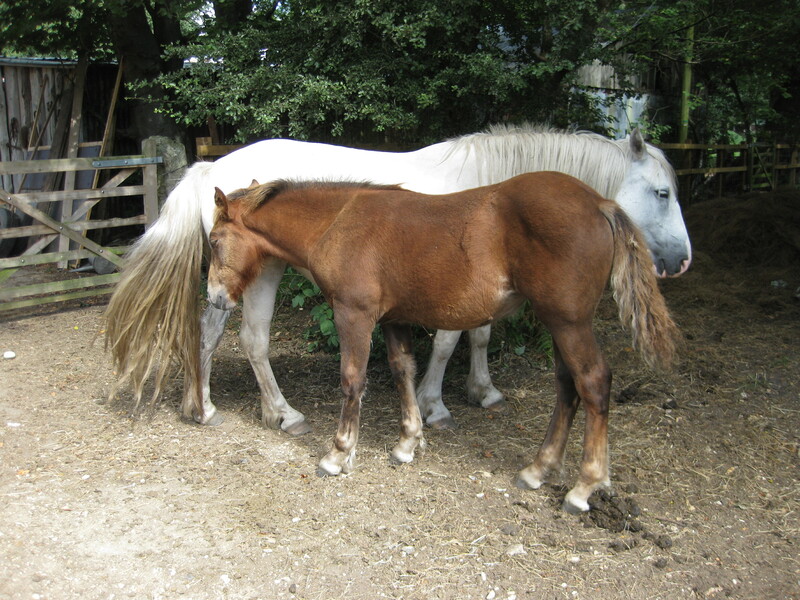 I’ve already cleaned the stabled and placed fresh bedding on the floor – not they they use the bedding as such, but it is very absorbent and nesting swallows make an awful lot of mess! I leave the mud nests from last year alone and they are still firmly secure in the rafters. Hopefully, the birds that took up residence in them twelve months ago will all have survived to resume their occupancy. I love to hear the noises they make as they chatter to one another from their nests. Their cheep-chirruping is inflected with dolphinesque-clicks that are very distinctive and, like the song of the skylark, remind me of warm summer days. The barn swallows make themselves extremely useful while they are here by eating large quantities of flying insects. They swoop over the paddocks hunting the flies that pester the ponies. Each bird can apparently eat up to 850 insects a day, which makes barn swallows one of my favourite pest controllers and why I try to encourage them to reside with us. Swallows are the heralds of summer. They are also excellent at forecasting the weather. There are a few old sayings connected to the ability of these amazing little birds to predict sunshine or rain: ‘When the swallow flies high, the weather will be dry’; and ‘When low flies the swallow, rain is to follow.’ The capability of the swallow to forecast sunshine or showers is no wives tale, but neither is it connected to any supernatural or animal sixth-sense. It is changing air pressure that causes the phenomenon. During sunny weather the warm air rises taking the flying insects higher into the skies followed, of course, by the swallows. In colder periods the reverse is true and the insects will stay closer to the ground, as will the swallows. However, there are some myths and folklore attached to these summer residents of the British countryside. In times past it was believed that barn swallows hibernated in the mud of ponds and lakes. In one experiment a swallow was immersed in water to see if it were true with predictable results. Nevertheless, it was considered back luck to kill a swallow or disturb its nest; whilst the sight of the first swallow of spring is said to be lucky. A swallow flying into your home brings good fortune with it, which is welcome news for me, as by the end of the summer this will have occurred in my kitchen on several occasions. 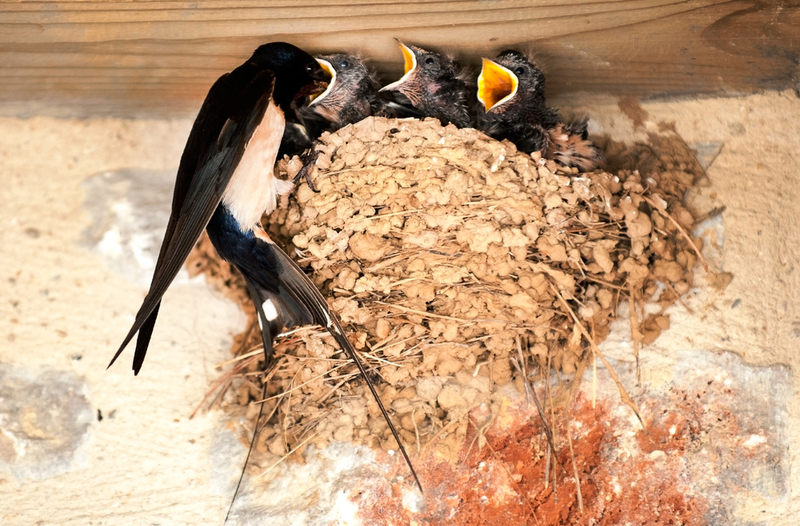 Barn swallows are great pest controllers and eat the flies that pester the ponies. This entry was posted in New Forest, New Forest flora & fauna and tagged Africa, barn, barn swallow, birds, herald, hibernation, Hirundo rustica, migration, myth, New forest, pest control, spring, summer, swallow. Bookmark the permalink.